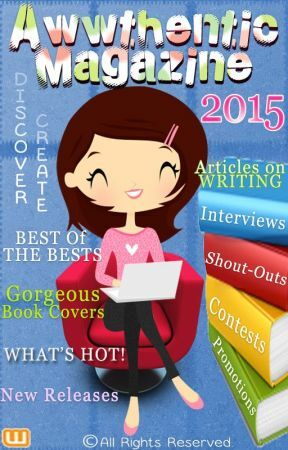 She has some amazing works written and countless covers designed for fellow wattpadders. 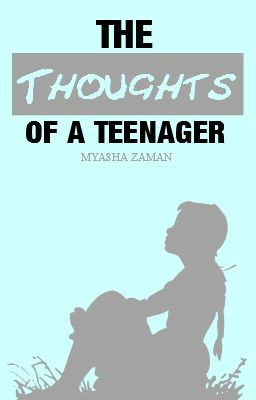 "The Thoughts of A Teenager" (External Link) is doing quite well with more than 7k reads. 1)For how long have you been writing? Ans: I started in 5th grade, so approx. 7 years. 2) What inspires you into writing? Ans: I honestly don&apos;t know, maybe the intense need to be heard. 3) There are plenty of sites which allow free publishing online. What made you choose wattpad to publish your books? Ans: Honestly, I never really got to that point where you google free online publishing sites and choose whichever your gut tells you to. I came across Wattpad through a friend, and instantly got hooked. 4) Share with us about the works that you have published at Wattpad. Ans: Well, for starters, each of my work has a little bit of me in them. 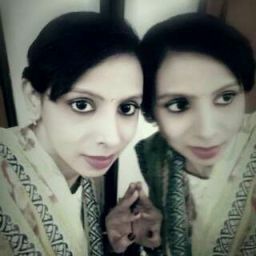 Those who know me personally, can easily figure out which is me and which is not. Atleast that&apos;s what I hope. And also, most of my works are derived from real life experiences. You know what they say, you aren&apos;t a writer until you feel the weight of the words you&apos;re writing. 5) What are the things you look for in a perfect story? Ans: (i) Zero grammatical errors. 6) What is more important in a story: a better plot or a detailed characterisation? Ans: I&apos;d say a better plot. Because if the plot itself is dull, monotonous, I believe I&apos;ll not read on and put an effort to get to know the characters. Or put much thought into details because I&apos;ll not read further ahead. 7) What are your views about books on Wattpad? Ans: Too many books with similar plots. Original stories rarely get into the limelight. 8) Which is your most favourite and closest work written by you and why? Ans: I&apos;d say &apos;Hardly&apos;. I really tried to bring out that 1960&apos;s vibe while writing it, and some darker parts of stardom. I don&apos;t know, most of my readers may disagree, but I felt the most at home while writing it. Blame it on my fate, maybe I was born in the wrong era. Haha. 9) Tell us about the procedure you will carry out while judging the stories for the contest. Ans: First and foremost, I&apos;ll check if the plot is relevant. I&apos;ll then pay special attention to the writers&apos; ability to describe, to give life to the words. Next move on to characterisation, ask myself if I&apos;ve connected with the characters emotionally and were the sentiments conveyed properly. I&apos;ll also check if the story is written in a proper grammatical manner. Lastly, how well did the writer himself connect to the words written. 10) What&apos;s the biggest mistake new writers make? Ans: This does not apply to all new writers but still a few many. They rush, jump from this event to that. Give little attention to description. And refuse to accept that a little or more time spent on planning helps in the long road. That it&apos;s okay to work your way slowly to the climax of the story. 11) Since it&apos;s a contest for valentine day and we are expecting romantic stories from participants. What, according to you, love is? Ans: Love is, well, the power to forgive. The strength to admit your weaknesses, your flaws and your faults. Love is the having hope even when things are a complete mess. Love is smiling for the other when all you want to do is curl up in a bed and forget the existence of life itself. Do I need to say more? I have yet to see the world to its fullest, who am I to define love? I&apos;m merely a fragment of the million other fragments. 12) Your message to readers / followers and advice to the participants. Ans: Don&apos;t write it if your heart is not in it.